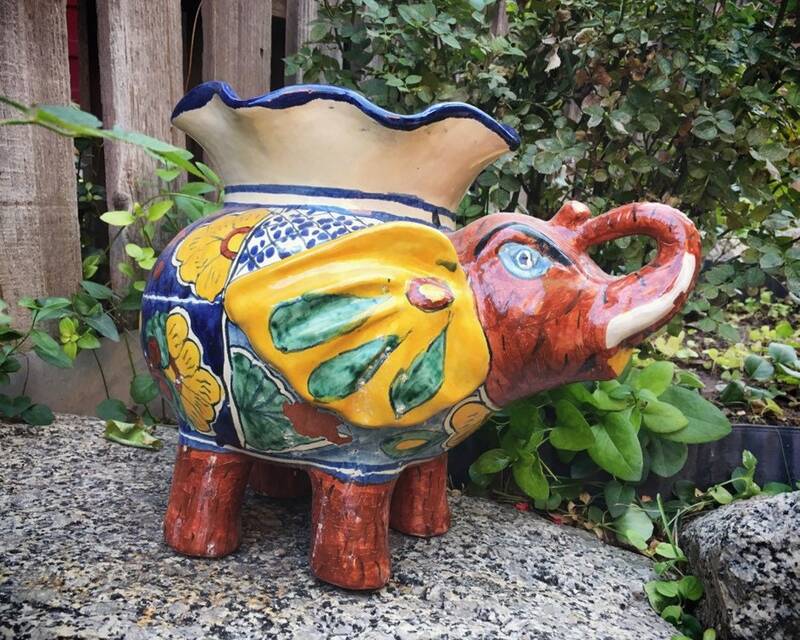 This vintage Talavera pottery elephant planter is from the venerated Mexican ceramics house Amora Talavera in Dolores Hidalgo. 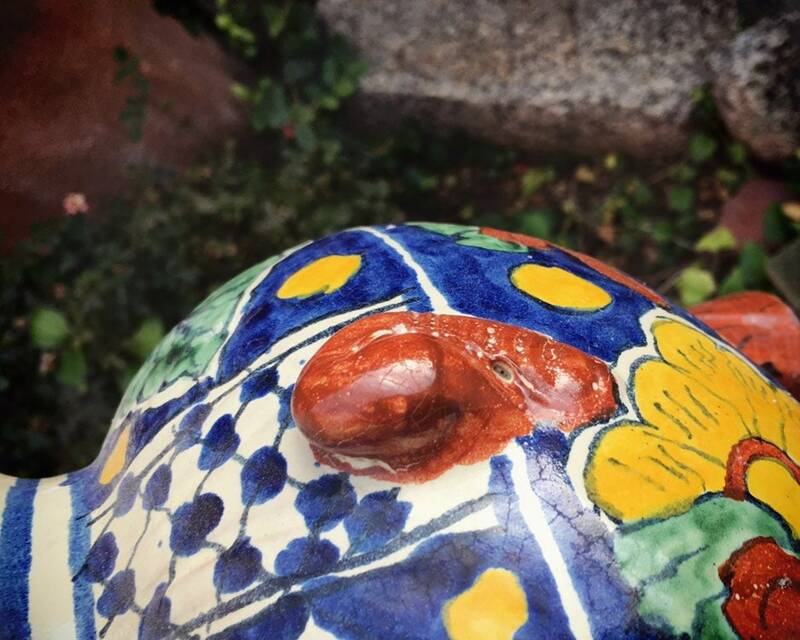 They produce all types of pottery, including decorative planters and vases. 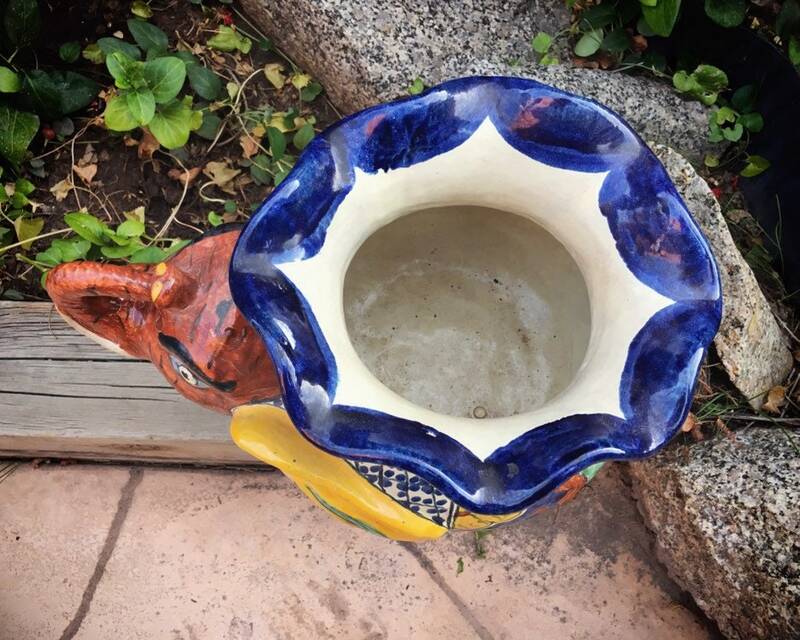 This particular planter came from an estate filled with iconic midcentury furniture mixed with Native American pottery, Southwestern artwork, and wonderful world folk art. 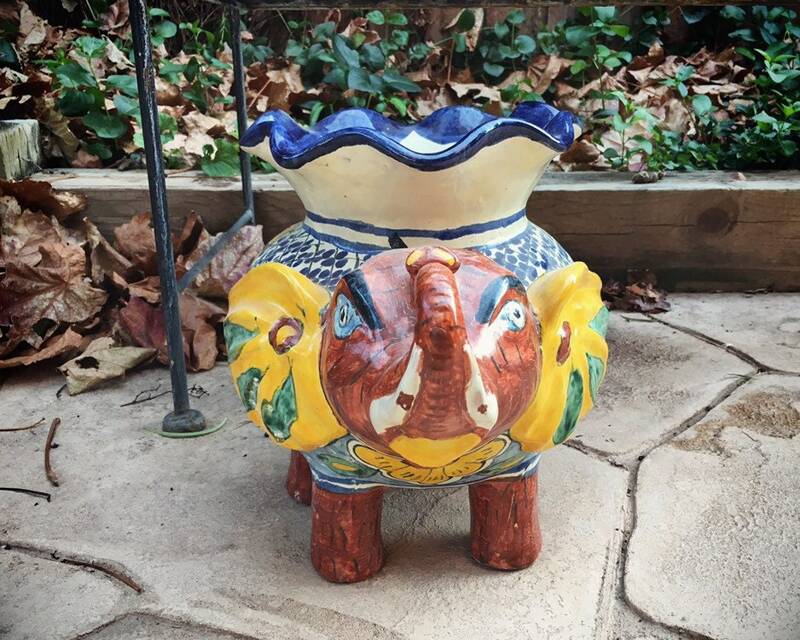 This elephant planter was not used for plants, from what I can tell, but rather as a decorative floor statue. However, it's large and sturdy and could certainly hold a plant. 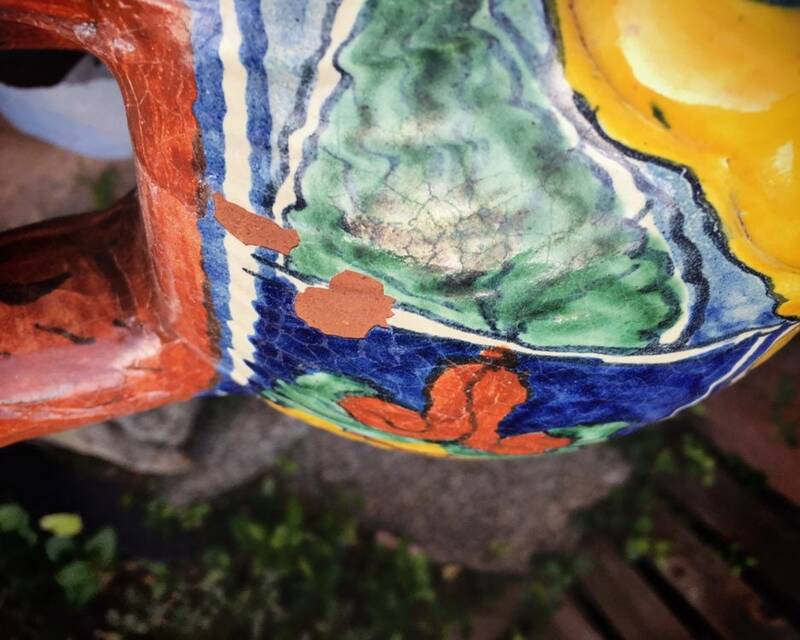 Just know that as with any redware pottery, it will erode over time from the water seepage. Glazed pottery such as this will last slightly longer than unglazed, but it too will absorb water into the clay and eventually flake away the glaze and ultimately crumble. 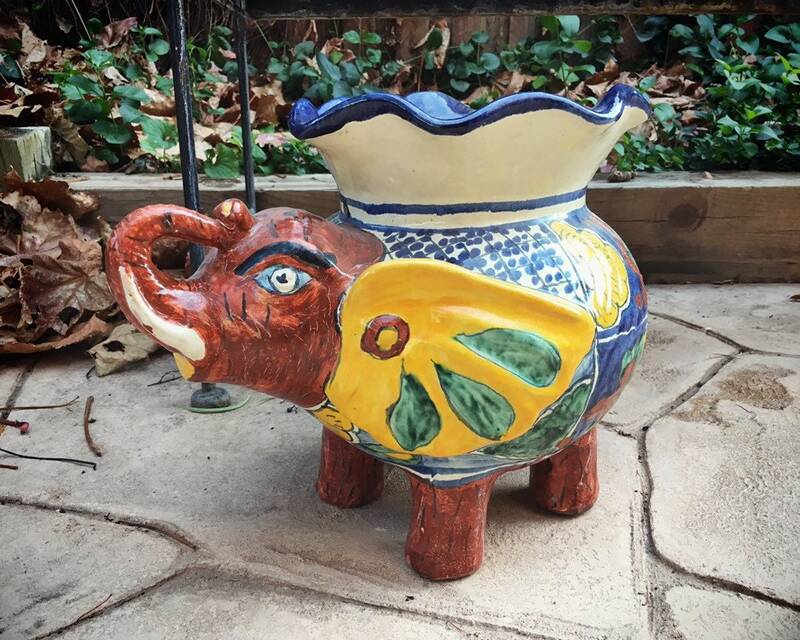 Still, it is a wonderful piece, and especially when you consider the symbolism of elephants, who represent strength and wisdom, but also memory because they know how to return to watering holes and even recall foes and friends. 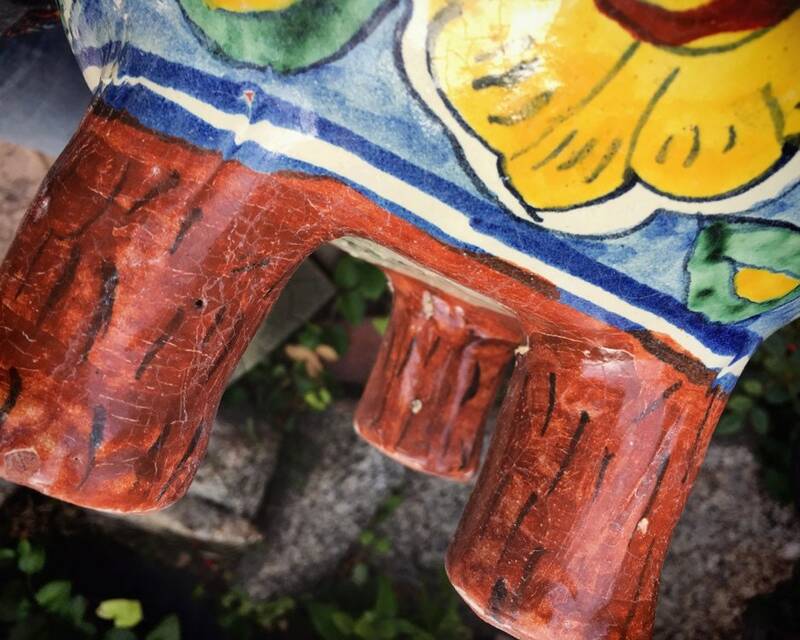 Plus, the trunk up is a symbol of prosperity and luck in some cultures. 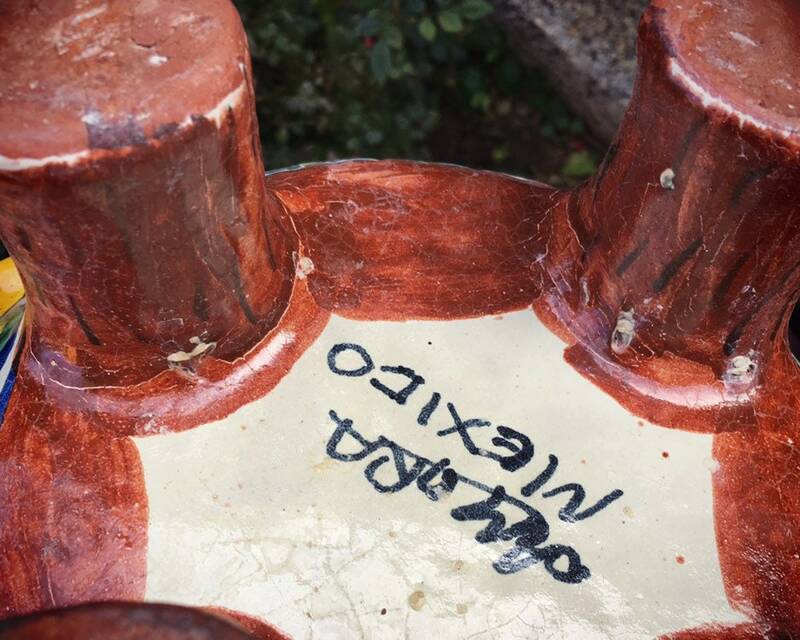 Measures about 14' across by 11" tall and 9" deep with an opening 5" in diameter. 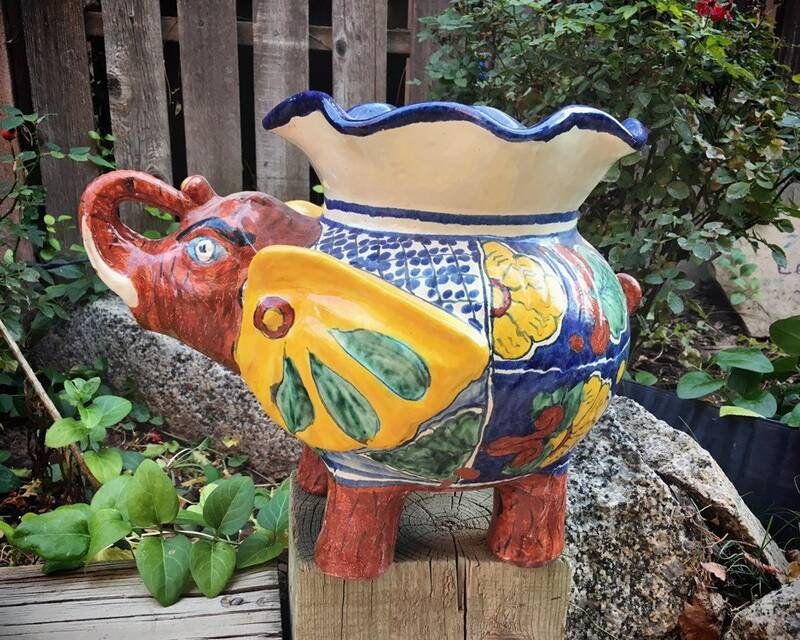 Is very heavy at almost 11 pounds unpacked, and this is a hallmark of older Anfora pottery--it's substantial weight. One spot on side where the paint and glaze have flaked off from age and probably exposure to weather. Also has a few imperfections in the glazing like popped bubbles. Crazing from age. No major cracks nor large chips beyond the flaking. 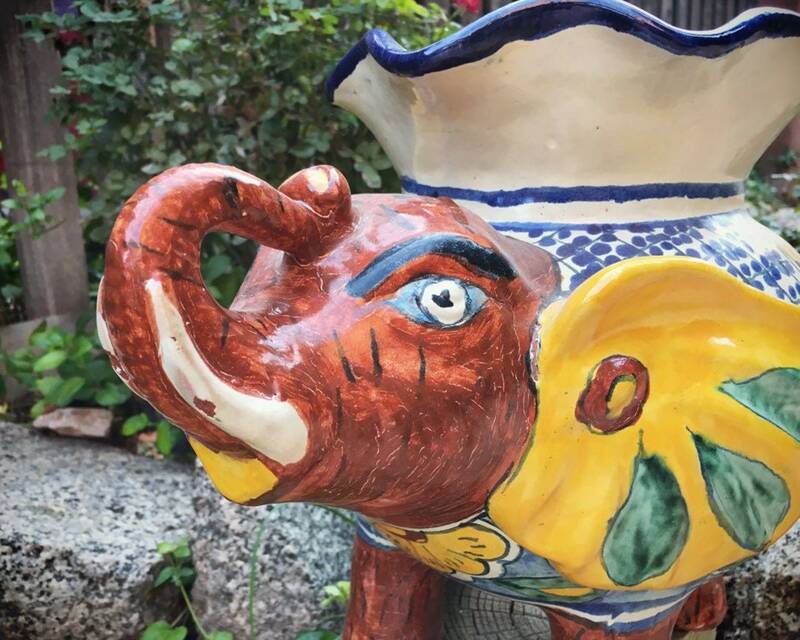 The elephant king, to give strength and the power of memory.